As travelers, we are so fortunate to experience everything that the world has to offer. Amazing landscapes, interesting cultures, delicious food and intricate histories all shape our experiences in any travel destination. It is our responsibility then, as travelers, to be conscious of how our actions might affect the environment, culture and economy of any travel destination. Not only does responsible travel improve the communities you travel to but it also makes for a more authentic and rewarding travel experience. For many people though, "responsible travel" is a new idea that they've never thought much about. With that in mind, here are some simple ways that you can become a more responsible traveler. Choosing where you spend your money while traveling can have a tremendous impact on the local community. By choosing local businesses instead of large brands or chains, you're supporting the people who have the most to benefit from your purchases. Next time you're deciding where to eat, where to stay, or even where to buy souvenirs, consider how your choice can positively impact the local economy. Side Note: In many countries bargaining is part of the culture and you'll be expected to take part in it. Throughout the process however, keep in mind what $1 means to you versus what it might mean for the vendor. As a responsible traveler, go out of your way to learn about the local culture. Pick up a few basic words of the host language and become familiar with the country's history. Learn what is appropriate in terms of behavior, dress and body language. These simple gestures will go a long way with how you are perceived as a traveler and they will also help to better connect you to your travel destination. Wildlife tourism is a giant industry. Unfortunately, more often than not, these businesses care more about making money than the wellbeing of the animals. Make sure you do your research before taking part in any activities featuring wildlife. Any reputable business that interacts with wild animals should be happy to answer all of your questions to reassure you that the activities are safe and mutually beneficial to both tourists and the animals. If they are not, consider choosing a more responsible organization or forgoing the activity altogether. A big opportunity for responsible travel is volunteering, and there are now more ways than ever to do so while traveling abroad. From environmental conservation, culture and community projects, to teaching English, volunteering can be a rewarding and inexpensive way to travel responsibly. Again, it is really important to do your research as, unfortunately, many volunteer organizations are known to do more harm than good. Make sure you are considering volunteering for the right reasons, and that you choose reputable organizations that are offering volunteer services that align directly with your skill set and morals. Waste management is an issue worldwide. This is especially so in developing countries where environmental education and waste management infrastructure might not be at the same level that you are used to back home. Keep in mind that your travel destination may not have a formal recycling program or even a proper waste management system in place. As a responsible traveler, you could bring a reusable water bottle to fill up instead of constantly buying new plastic water bottles. When making any purchases you could always decline a plastic bag and put the item in your backpack instead. Often the most memorable activities of any trip are booked and operated by tour companies. Sometimes there are literally hundreds to choose from that all claim to offer the best services at the best rates. We recommend seeking out responsible and sustainable businesses that contribute directly to the local community. Ideally, these agencies would be locally owned and choose to help protect the local environment, to only hire local employees, or to donate money to local charities. There are many ways to lower your carbon footprint while traveling. When planning your route, try to choose the most direct path to lessen your carbon emissions. Choose public transportation instead of taking a taxi. Or better yet, walk or ride a bike! The world and your bank account will thank you. As traveling continues to become more accessible, it's more important than ever for us to be responsible travelers. Not only will these simple practices improve the wellbeing of the communities that you travel to but they also make for a more sustainable and rewarding travel experience. 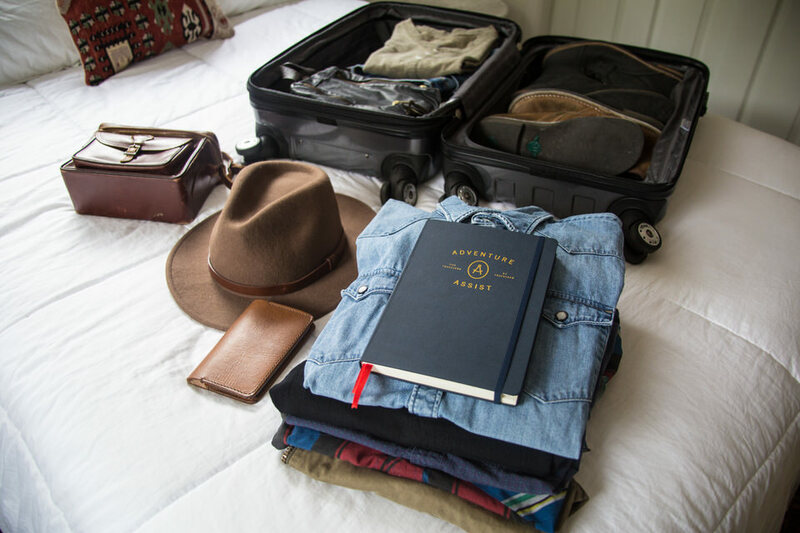 Travel with a purpose and get an Adventure Assist travel notebook to help you plan, organize and document the most important details of your next trip.